The peaceful coexistence between humans and nature is vital to the survival of every living thing on Earth. Naturalists, conservationists, and environmental activists are dedicated to curbing a number of ecological threats. 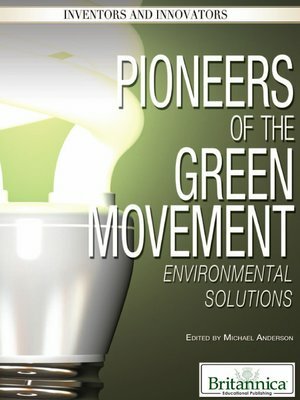 Readers take a thoughtful look at the work of those individuals who have helped shape and advance the green movement, which aims to provide a sustainable future for all concerned.